More than 1,350 first-year students moved into Wake Forest residence halls on Wednesday, Aug. 23. ​This class was admitted from an applicant pool of more than 13,000. 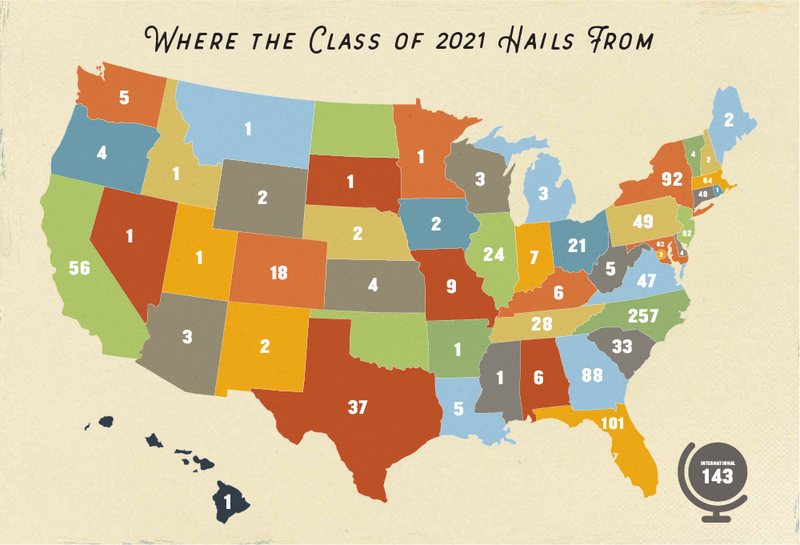 Seventy-seven percent of the newest Wake Foresters ranked in the top 10 percent of their high school classes.